Sometimes, particularly during the party season, you find yourself needing lots and lots of fizz – I know that I do. If you are as impecunious as me then this can give you a slight problem, as sparkling wines can be very expensive. The bill soon mounts up if you want to drink lots of it yourself let alone letting your guests hoover up vast quantities of the stuff. The problem becomes tricker still if like me you are not drawn to Prosecco. Much of the time I find Prosecco dull, overly floral and somewhat sweet, certainly sweeter than it ought to be, so with a few notable and sadly expensive exceptions – Bisol (especially their Bisol Jeio, Adami and Nino Franco for instance – then Prosecco is hardly ever something I want to drink. I prefer the cut of bracing acidity that leaves sparklers made by the traditional method so cleansing and refreshing. Of course the best examples of traditional method sparkling wines can be wonderfully complex and fine with that brioche, biscuity and nutty character, but that tends to come with the more expensive wines. There is help at hand though, there are some excellent and incredibly good value sparkling wines available and one of the best, it’s positively cheap in fact, is a Cava and I think it is so very good for the price that I have made it my Wine of the Week. 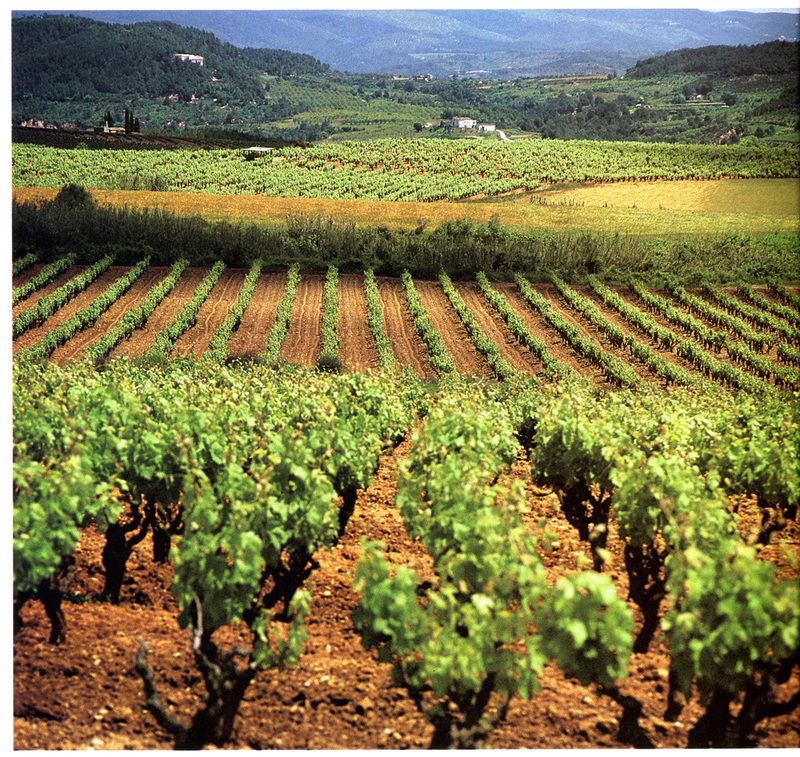 Cava vineyards – photo courtesy the Cava Regulatory Board. I think Cava gets a bad rap with people focussing on the lower end of the price spectrum – although that is exactly what I doing here. There is actually plenty of very fine Cava out there, but there is also no use denying that the cheaper versions can provide some of the best value sparkling wines in the world. This example is made by Vid Vica and is a blend of the three classic Cava grapes Macabeu, Parellada and Xarel·lo aged on the lees in bottle for 9 months. Surprisingly it is actually a proper Cava house and not just an own label. This seems really very good for anything like the asking price, it’s certainly a cut above most cheap Cava and perfect when you just want to keep drinking fizz in quantity, like at a party. It is soft, dry and apply in flavour with a touch of pear about it too, it also has a nice mouthfeel with none of that soapy quality cheap fizz can have. It is also clean, fresh and fruity with none of the earthy flavours some Cava can have and there is nice acidity keeping it refreshing without being tart – 84/100 points, this scores especially well for value, but really it is very well made and very drinkable. Available in the UK from Lidl for the amazing price of £4.79 per bottle. PS: I have just discovered that Aldi also offer a Cava for £4,79, so will try a bottle of that very soon too.